How would it feel if your nostrils were pinched and you had to breathe out of your mouth 24 hours a day? Could you run and play the way you would like? Would you sleep well at night? What about when you ate? It's hard to chew and swallow and breathe out of your mouth at the same time! That’s exactly how a dog feels with stenotic nares every day of it's life. Stenotic nares is a common disorder in brachycephalic breeds. The nose and face of brachycephalic breeds have a pushed-in appearance; “brachy” means shortened and “cephalic” means head. Breeds affected are: Boston Terrier, English Bulldog, French Bulldog, Shih Tzu, Boxer, Pug, and Pekingese. This condition is genetic, caused by a malformation of the cartilage in the nose, and is a component of brachycephalic syndrome. Other components of this syndrome are a soft palate that's too long, and a windpipe that is too narrow for the size of the body. Stenotic nares are present from birth in affected dogs,and in combination with the palate and trachea abnormalities, lead to a progressive decline in respiratory function during the pet's lifetime. Stenotic nares is seen in some cat breeds like the Persian and the Himalayan, but is not common. Stenotic nares causes a huge problem over time. The increased airway resistance from the pinched nostrils can lead to increased efforts to breathe. This is hard on the larynx, which can eventually collapse, making breathing nearly impossible and often leading to death. This is most likely in animals that are affected with the other 2 components of brachycephalic syndrome simultaneously. How is Stenotic Nares Diagnosed? This condition may be suspected based on the breed of your dog, but all it really takes is a glance at the nostrils to determine if they are open wide enough to allow proper breathing. Diagnosis of other problems caused by the patient having stenotic nares aren’t as easy to detect. Some additional testing, possibly with sedation, to determine the extent of the damage would be necessary. Some common tests are a sedated examination of the throat, bloodwork, X-Rays, and an ECG. How is Stenotic Nares Treated? 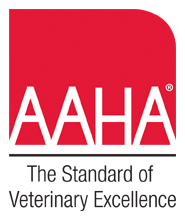 Because restrictive airway disorders can be progressive and worsen without treatment, your vet may determine that surgical correction is the best option for treating your pet’s stenotic nares.A small increase to the diameter of the airway can greatly decrease the respiratory effort, making it easier for your pet to breathe. They can be surgically corrected by removing nostril tissue to widen the openings and improve airflow. Before symptoms become severe, surgical prognosis is generally considered good. Most surgeons think that to prevent the development of the secondary components of brachycephalic airway syndrome, the patient should undergo surgery at a young age since there are reports of dogs as young as 6 months of age with laryngeal collapse. 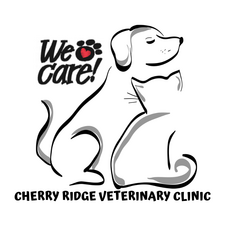 Performing corrective procedures could then be done with spaying or neutering, avoiding an additional general anesthesia event. Each patient would need to be assessed on an individual basis to determine if the procedure is necessary. If all 3 components of brachycephalic syndrome are present, a simultaneous reduction in the length of the palate is recommended. The excessively narrow windpipe cannot be treated. Usually, there are small sutures placed at the surgical margins. Many times the sutures placed are absorbable, meaning the body will eventually loosen them and they will simply fall off in 3-6 weeks. Your surgery discharge technician will let you know if your pet needs to return for a suture removal or not. We recommend an Elizabethan collar for these patients as well. This is to keep the patient from scratching out the sutures. The collar is usually worn for two weeks. Antibiotics and pain medication may also be dispensed. Although this is not considered a seriously painful surgery, the surgical edges can be nuisance to your pet. <--------- Diagram of nares after surgery with sutures in place. For mild symptoms, your vet may recommend managing the condition with lifestyle changes. Healthy eating and exercise are keys to maintaining a healthy weight, which avoids straining your pet’s lungs. Avoiding environmental stressors like high heat and humidity can also help. For dogs, switching to a harness-style leash may be recommended to avoid pressure on airways. Anti-inflammatory medications, steroids, and oxygen therapy may also be prescribed for short-term, mild relief of symptoms.